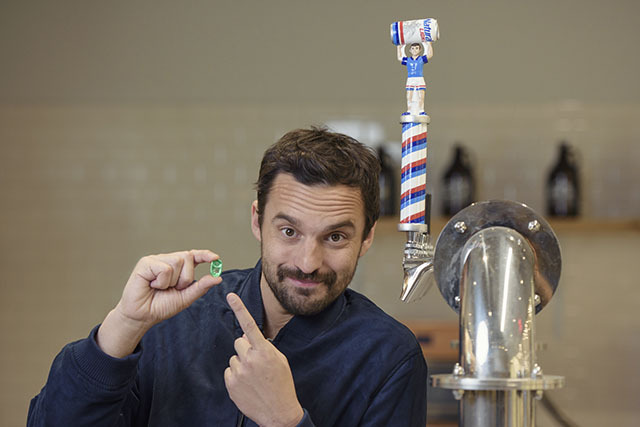 Drinking with Jake Johnson: Get to know this star of New Girl. Actor Jake Johnson has been eaten by dinosaurs and faked being a cop, but he’s best known as writer-bartender Nick Miller from “New Girl,” about to launch its seventh and final season. 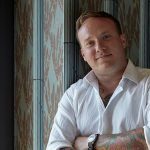 He’s also teamed up with Natural Light beer for a new initiative, giving away a million dollar to college students and grads to help relieve their student loan debt. The AB-InBev brew is giving 25 people the chance to win $40,000 to pay off those pesky loans in order to keep your college memories epic. That’s when we caught up with him and found out that like his co-star Hannah Simone, all those years behind the bar at The Griffin hasn’t improved his customer service skills. At red carpet events, beer is my go-to. Alcohol is great, but there can be that sneaky one; where you’re doing very good, and then you’re doing very bad. Unless you’re playing some kind of goofy game, where you’re shooting it from a tube that’s nine blocks long, beer’s not going to do that to you. Beer is a good go-to when you have to keep your wits about you, and light beer? You can have more of those wits. What about when it’s not beer? But these days I’m going back to the Scotches and the Bourbons. Again, I’m not sure why. There were years where I was like, if someone offered a Johnnie Walker Blue, I’d be like, “of course I’m having one.” But I wasn’t pushing for it. I liked a Stoli on ice. But now, if I’m going out and having a nice beer, I’m like, “yes, I would like a great bourbon beside it.” I don’t know what’s going on. 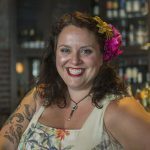 Is there a bourbon cocktail that has you jazzed? Not particularly, I’ve been drinking a lot of IPAs lately, and I’ll have a little bourbon with that. I’m liking the heaviness of it. I feel like I’m in the Deerhunter. I feel like I should be in a cool bar in Pittsburgh. Is there a particular bar in L.A. where you like to hang out? No. That’s not against LA. I used to live in a place called Atwater Village (near Griffith Park). 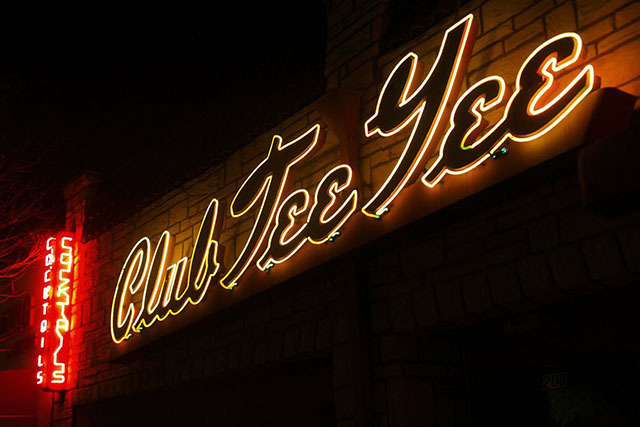 There’s a place there called Club TeeGee – a local bar for myself and friends, for fellow collaborators when we would work on projects, we’d all meet there. These days, I am loving being at home. Going back to home drinking – sit in the back yard and have a friend over. 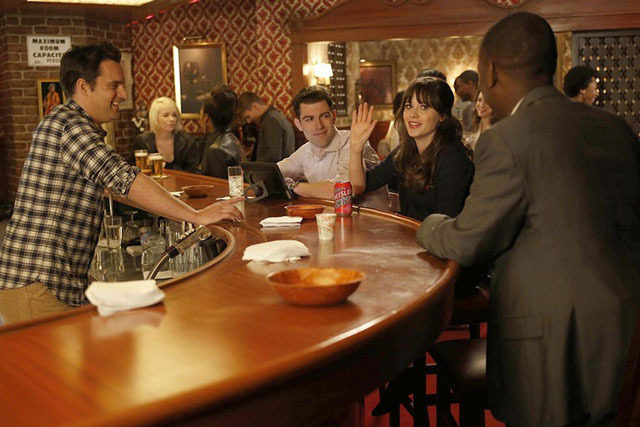 Has playing a bartender on New Girl helped your skills in real life? Robert H-P is still catching up on Black Mirror, so NO SPOILERS. You can track him at @haynespeterson on Instagram and @roberthp on Twitter.